Want to Transfer Files from iPhone SE to Flash Drive? Just Click Here! Home> Resource> iOS Transfer> Want to Transfer Files from iPhone SE to Flash Drive? Just Click Here! iPhone SE was just unveiled at the 2016 Apple Special Event in March 21, 2016 at the company’s headquarters in Cupertino. With a 4-inch screen that is smaller than the iPhone 6S/Plus that was released last year. Obliviously many smart phone brands are trying to produce the mobile phones with the bigger and bigger screen and also many users also seem to prefer the smart phone with bigger screen. However the appearance of smaller iPhone SE surprised all of us. Because there are still many people who used the 4-inch iPhone and are not willing to change their phone to the bigger one according to the feedback. If you want to know more about the new iPhone, you can click here to know the main features of iPhone SE. 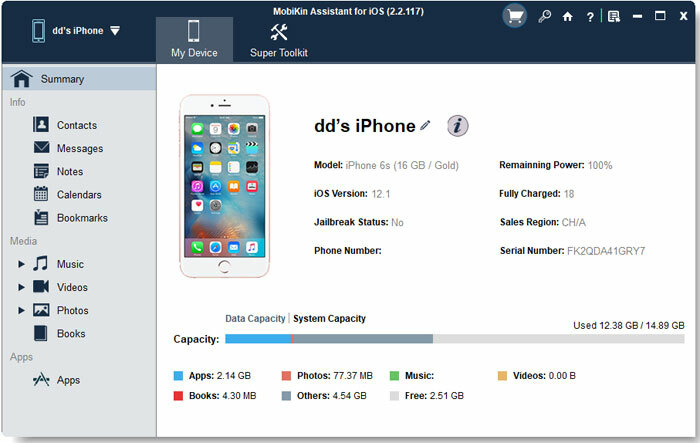 If you purchase the iPhone SE, you may need a mobile phone assistant to help you manage the files in the device. For example you may need to copy the files from iPhone SE to flash drive or computer as the backup in case of losing data by mistakes. 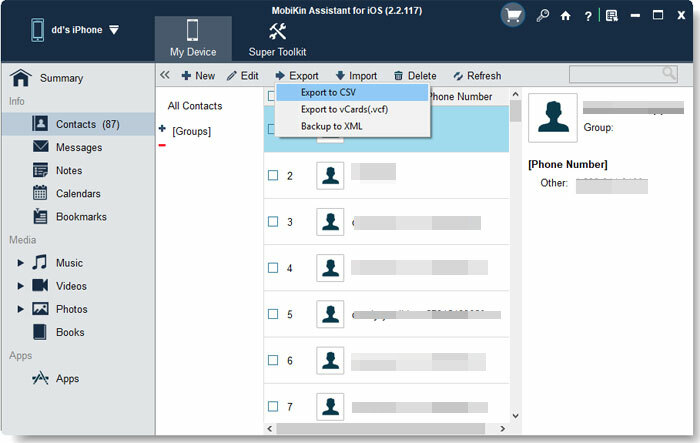 Here we will recommend you a software - MobiKin Assistant for iOS (Windows/Mac), which can enable you to transfer various types of files from your device to computer easily and quickly. Although you can use iTunes to back up your files,it is troublesome to use iTunes and at the same time, iTunes do not allow you to export the backup to flash drive or computer. This software is easy to operate and the whole process can be finished within several clicks. Because the software can detect and scan your device automatically and quickly. Then various types of files will be displayed as different options. Besides, the software can not only support iPhone SE/5/5S/6/6S but also can be compatible with iPad or iPod touch. The files it can transfer include ringtones, playlists, podcasts, movies, music, TV shows, photos, books, voice memos, contacts, SMS messages, safari and so on. By the way, the software will also display the files with name, file size, author, genres and other factors. Seeing is believing. Why not download the free trial version of software on computer and use the software by yourself? Download and install the software on your computer. Then connect your iPhone to PC with its USB cable and run the program. Then the software will detect and scan the files in your iPhone. You will see an interface like this with many categories on the left panel. You will see an interface like this with many options on the left panel. Then click on the option according to the types of files you want to transfer and then you will preview the detailed items on the right panel. Mark the wanted files and then click on the Export button on the top panel. Then the files will be exported to the computer. Finally just plug your flash drive or other movable device to the computer and then copy the files from your computer and paste in flash drive.